This entry was posted in Uncategorized and tagged action, actions, aging, anger, bible, change, character, choice, David, encourage, encouragement, fear, focus, focus determines reality, focus on the goal, following, freedom, future, joshua, leader, leading, manage, Matthew 6, moses, motivate, move, overcoming, power, react, read, relationships, routine, scripture, serve, significant, struggle, stumbling block, time, victorious, victory, work by admin. Bookmark the permalink. I remember reading a book by Mark Batterson called "In a Pit with a Lion on a Snowy Day" on Benaiah. Good book. Good challenge from you today kari. No fear allowed. Great book! I have it & have read it. Might be time for a re-read. Challenging myself for sure! What I find most interesting about your teaching (and it certainly is a teaching!) is that Benaiah, someone unknown to most of us, "did it afraid," as Joyce Meyer would say. We tend to focus on the heroes of the bible and how they faced their fears, but to know that a working man battled fear too…I can relate, somehow more to that than the bravery of a hero. I can identify with a regular guy. And if he moved up in the ranks, so can I. Great teaching, Kari. Thanks, Mary. I actually get discouraged with "face your fear" talk sometimes since so often life is about moving forward even when fears aren't conquered. I too identify with the "working guy.' Thanks for the additional insight. You hit on one of my favorite passages, Joshua 1:9. I love that story. I have often been fearful and still at times have to seek the refuge of God when I come up against something that frightens me. You hit on several of my "fears" when it comes to moving forward with things, failure and approval. Thanks for sharing. God Bless. It\’s one of my favorites too. 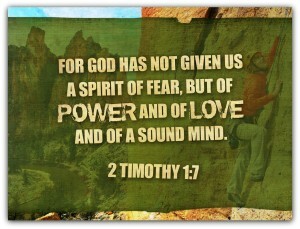 We can focus on our fears or on Him, and our focus determines our reality. 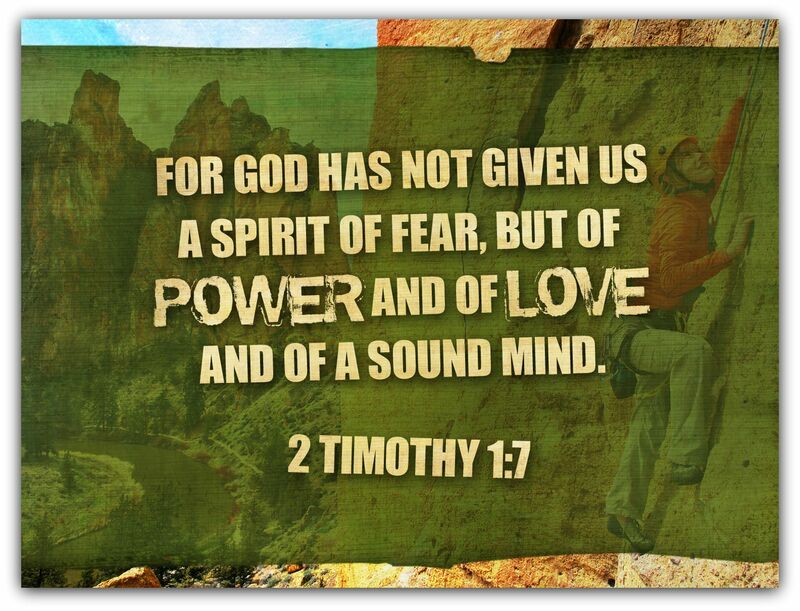 I have several different fears that often block me toward my life purpose and areas of passions. I'm learning to just do whatever I might fear no matter how I might feel at the time. I see and think about how I will feel when I'm done with whatever the fear area might be. this helps me to dive right into it. Great post! Sometimes, we do need to just dive in and ignore feelings. Our feelings too often limit our victory. Thanks, Dan!